Both hands are placed on the knees, palms down. At Veluvana, the Buddha explains the law of old age to Ananda. He thereby emphasizes the truth that sickness, old age and death are inevitable for all living creatures. The right hand is palm down on the right knee. The left hand is raised at chest level with palm outwards. 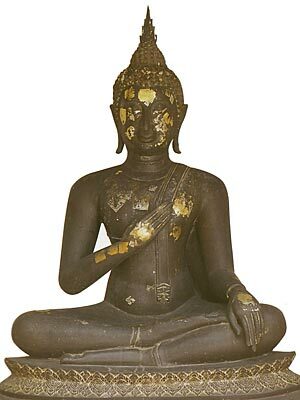 The Buddha hinted to Ananda that he could prolong his life if he was asked to do so. Even though he gave two more clues, Ananda did not take the hint, because he was haunted and influenced by Mara. 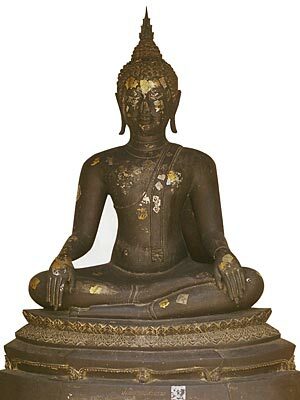 Thereafter the Buddha sent Ananda away and predicted his imminent death and entry of Nirvana. Explanation is twofold. The gesture signifies the Bodhisatta warding off Mara's three seductive daughters. Furthermore, it wards off Mara's attempts to convince the Buddha to enter Nirvana at once. 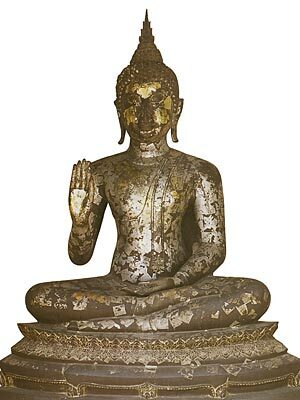 But the Buddha resolves to spread his teachings to monks and laymen first. The right hand is open towards the chest. The Buddha is reflecting upon his old age and imminent death. Three months before his death he resolves to enter Nirvana on the night of full moon. 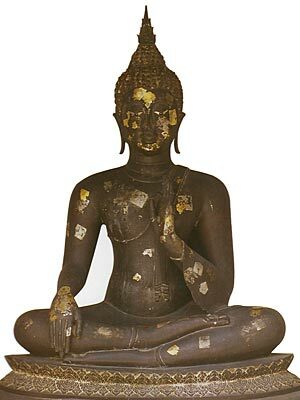 The Buddha is standing with right arm over the abdomen. Recovered slightly after falling ill due to eating tainted pork, the Buddha leaves Vesali for the last time. Resolved not to return, the Buddha looks at the city for the last time.